20 singers, but only 12 will make the finals. So, who made it through? Click through to find out! It’s too bad that three singers from each team moved on, because Team Adam and Team Christina were definitely stronger teams than Blake or Cee Lo’s. Team Blake: America voted through Austin and Cole, and Blake selected Ray. I was a little surprised – I thought Blake might choose Shelbie to mix it up a little. I like Austin and Cole on that team, so I’m glad they’re getting votes. Team Cee Lo: American voted through Caroline (Yesssss!!) and Jonny (ohhh….) and Cee Lo selected Kat. Wow. I really expected and hoped that he’d choose Tamara, she’s so talented. Kat really bugged me in that group performance, but she’s OK. I just don’t think she’s great. Caroline is the only star on Cee Lo’s team in my world. Team Christina: America saved Jacquie and Matthew, as they should have. They’re both fantastic. Christina selected Josh, which I thought was the worst decision. I like Stephanie best, but I thought Christina might choose Olivia because she’d be the only real country singer left. But Josh? Whaaa? Oh well, Team Xtina still has two killer singers. Team Adam: America saved James and Tessanne. I wasn’t surprised because Tessanne is amazing, and James’s song sold like hotcakes on iTunes. But I think James can be pretty inconsistent. Adam selected Will, and I’m really happy – I wanted to see more from him than I did the others. I think it’s looking like a great final stretch of the season! My favorites are Tessanne, Will, Jacquie, Matthew, Caroline, Austin and Cole. That’s a lot of favorites, y’all. That’s a good sign. November 8, 2013 at . I was convinced that Blake would choose Shelbie too, and I really did not expect both Austin and Cole to be put through together. Although I’m guessing not too many people bothered to vote for anyone on team Blake this week. The only decision which upset me was Christina putting through Josh over Stephanie. I was stunned but really happy with Adam’s choice. I definitely agree that the rest of this season should be strong. I haven’t had this many favourites this late since season 2. 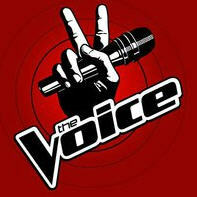 My favourites at this stage are Caroline, Kat, Jacqui, Matthew, James, Will, and of course Tessanne. November 9, 2013 at . Booooo to not putting Stephanie through! Did not understand that at all. she has so much versatility. Josh???? he’ll probably go in the first round of cuts. Really surprised Blake let Shelbie go over in favour of an all male team that are petty similar in style to one another.